It’s widely believed that people with fibromyalgia are low in magnesium. This crucial mineral helps promote relaxation. Magnesium deficiency can result in muscle spasms, and a range of other symptoms we associate with fibromyalgia. You could even make the case that fibromyalgia is caused by lack of magnesium. (Personally, I think it’s much more complicated than that.) But I say this to underscore the importance of getting enough magnesium in your diet. Our food supply is depleted. Modern farming techniques don’t yield crops with the full range of minerals, including the various micro-nutrients needed for health. Plus, a lot of us are pressed for time. We don’t tend to cook. We tend to rely upon heavily processed food. So it’s fair to say it’s difficult to get enough magnesium. That’s why there’s a lot of interest in magnesium supplements. You’ll find a lot of these supplements on the market. But can they help someone with fibromyalgia? Once I made the connection between poor health and magnesium deficiency, I decided I wanted some magnesium oil spray. 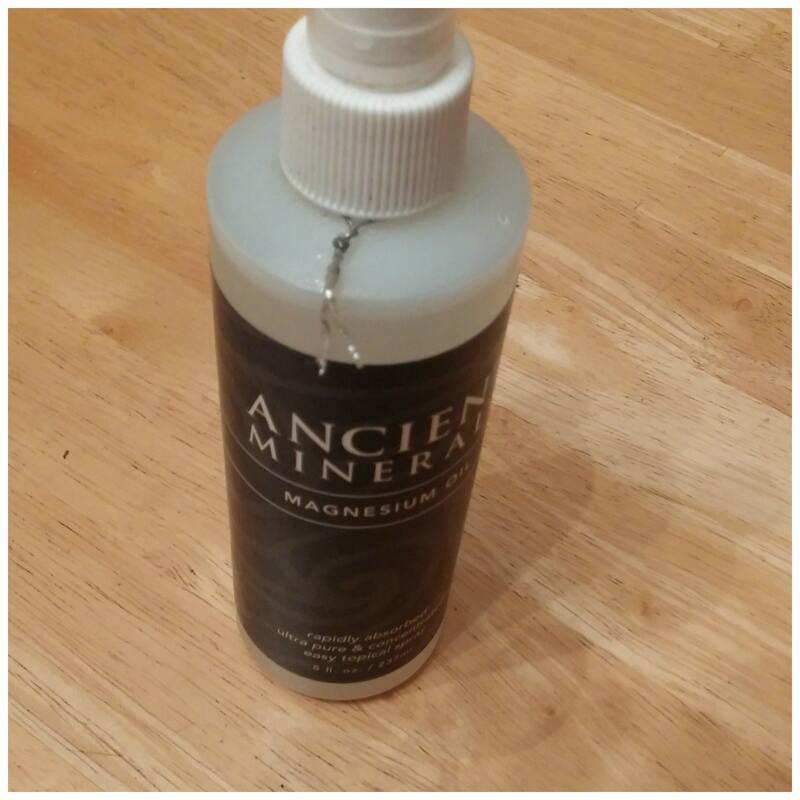 One of the most popular brands is Ancient Minerals Magnesium Oil, derived from an ancient European seabed. It came very highly recommended, by an online health expert that I trusted. It’s believed our body is better able to process magnesium by applying it to the skin. (This is part of the reason people used to soak in mineral water when they were sick.) It’s difficult to absorb oral magnesium supplements. Relatively large doses are needed. However, large amounts of magnesium can also cause intestinal distress. That’s why it makes sense to use a spray. Everyone is different. The spray did help me. But I also must have used too much of it. I’ve never heard of anyone overdosing on magnesium spray. However, it appears I did. It was the explanation for that wired feeling that left me unable to sleep for a couple of days. So, now, I use my magnesium oil spray much more judiciously. And I only put it on a small part of my body, inside of my wrists. Does Taking Magnesium Help Fibromyalgia? I’m not the kind of person who won’t use something, just because it hasn’t been scientifically studies. If a particular remedy is safe, and has a long history of use, I feel it’s worth a try. People have been bathing in mineral waters for ages. That’s because I want relief now. I don’t want to wait for a study, which may never occur. If I hear of enough anecdotal reports that something can help, I start to listen. If an online health expert recommends something, I start to think it’s worth a try. So that’s why you’ll find magnesium spray in my natural medicine cabinet. Just because I’m not riveted on studies, though, doesn’t mean I won’t cite them here. Actually, the Journal of Integrative Medicine did publish positive findings on magnesium supplementation and fibromyalgia. Other researchers have also found that patients with fibro tend to be low in magnesium. I think the magnesium spray I own might have helped me. But it’s hard to say. That’s because I’ve used so many different remedies and healing methods simultaneously. My condition was so severe. And I wanted to do all I could to get better. So I decided to just throw everything I could at it. Magnesium spray was part of the equation. I don’t use my spray often. Just here and there. For the most part, I try to obtain my nutrients from food. I eat a very healthy diet. Most of what I eat is organic. If it’s not organic, then at least it’s real food. If you’re interested in my total healing program, I’ve compiled everything I did into an online course that contains more than 20 instructional videos, as well as textual modules. I believe it can give you a lot of ideas, so you can embark upon your own unique journey to health. Perhaps magnesium spray can help people with fibromyalgia. For me, it made more sense to use a spray, knowing this is the most easily absorbed form of this mineral. One thing I didn’t like was that it itched. It reminded me of bathing in salt water. I slathered magnesium spray on my legs and found that it made them itch. Now I just put a little bit on the inside of my wrists and no longer have a problem with itching. Another option would be to add magnesium spray to your bath water. Or you could first dilute it with water before putting it on your body.